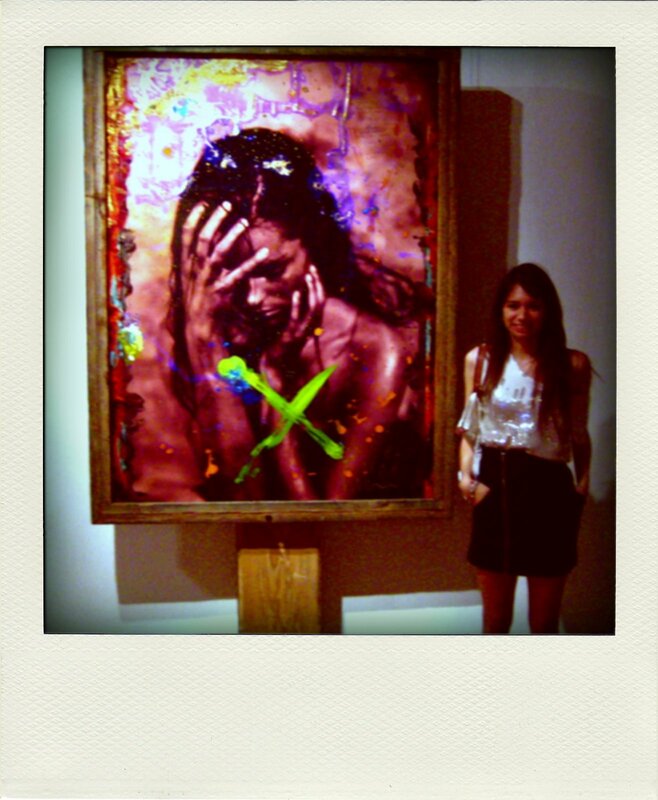 Chantelle & her fave Raphael Muzzucco piece of the exhibit (fashion photographer& artist) piece @ the Luminato. We're going to have some of my writing in this post today! Finalement! I've noticed that many of you are a fan of the photography I collect and piece together with spunky quotes I stumble upon on the internet. My followers have increased substantially over the past month. So THANK YOU to all the noobs and the veterans! Most of the time I don't get around to linking those who have asked, because I either forget or I don't know you've asked! I don't have updates e-mailed to me, so I don't see comments on old posts unless I go through my blog on a day I'm bored. ^-^ oopsies. As for the questions, ask away! Make-up routine, what's in your purse, fave model, characteristic look.. anything! I have been following your blog for quite a while and LOVE it. It's great. As for questions....hmmm. Those last ones are quite interesting that you thought of. How do you describe your style? If you could live anywhere in the world, where would it be? Celeb crush? (haha). Who do you turn to for fashion inspiration? cute blouse and happy 1 yearrrr! lovely outfit!!! Zip skirt is my loove;)! F a n t a s t i c B l o g .
That pic is amazing. Love the blog. and i've gotta say that i already have you linked on my blog... is that alright? would you rather be barefoot or ALWAYS in socks? where can i get a cheap polaroid camera? what are your thoughts on alexander mcqueen? what is your funniest story about how you got a scar? what colour do you paint your nails? who is your favourite greek god? Okay, questions: If you had to pick a style that's completely different from how you dress now, what would it be? If you could only buy one more thing (clothing/accessories, not like...food or anything), what would it be? that piece of art is impressive! hey! take a look at my last photoshoot if you want. I hope you like it. & i thinked we might already be linked ... but if not, let's do so . Gorgeous blog and pics ~ this is my first visit! Oh my gosh I need to check out that artist right away! Your favorite items in your closet? Thing you dislike the most? First visit, but i love every bit of your blog! hey! Love your blog. Where do you get those fantastic quotes from? Congrats for the one year :) Keep up the good work.